← Patents for abstract ideas are Wrong! Just to show that it can be done, we can fit all 3 seats into the car. Getting in and out with 3 kids in the seats could be fun. We’ll have to see how we get on. 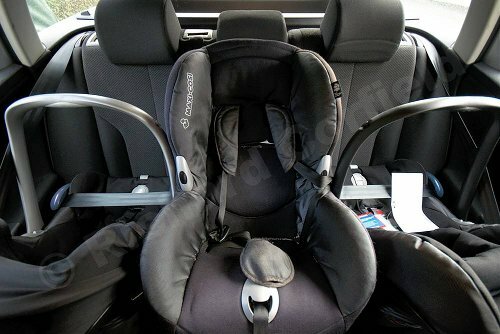 Also, I see two baby seats and a larger one. Any idea how to fit 3 large ones? This worked well, but it became a problem as the kids grew older and all moved into forward facing seats. We’ve since moved to an S-Max because of this. The Passat pictured is an older model. I’m told that the more recent ones are wider, so it is worth checking. We took all three seats round the second hand car supermarkets trying them out.